Twenty eight days left until this little tent has to be done. Please excuse me while I go freak out. 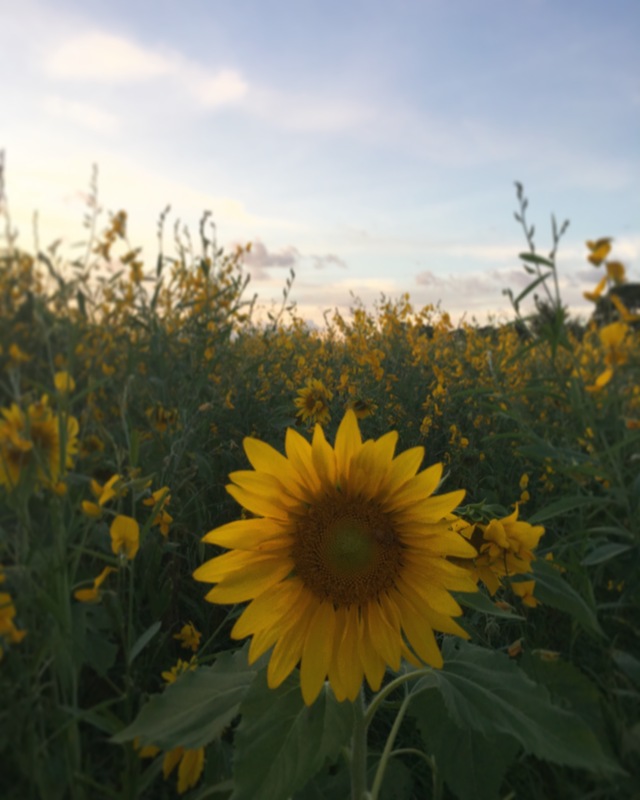 Here’s a lovely, calming picture of a sunflower as a thank you for stopping by today. I’ll be chained to my craft table for the rest of the day. I know! It’s zipped by so fast… Hope today is a productive day for you. Thanks! I finally took the leap and attached everything to the walls today. I’m always scared I’ll change my mind after it’s all glued in place.